What would it have been like if you had lived in ancient Sparta or in ancient Athens? You would have lived in a City State and would very proud of it! You would also be proud of being Greek. The ancient Greeks were thinkers. They loved to talk. They worshipped their gods and respected people. They loved beauty, music, literature, drama, philosophy, politics and art and some even loved battle and sports. Sparta's powerful army is ready for war. Athens knows that it cannot defeat this army ... but it has a Navy and Sparta does not. The year is 430 BC. Poliphus and his family from Athens and Sparcus and his family from Sparta are thinking about the future. They each have different points of view!! We follow the story of the war between Athens and Sparta as seen by these two families. 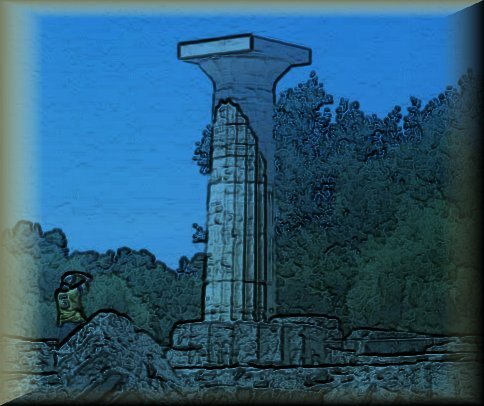 Explore Ancient Olympia with our Virtual Tour. Also learn about the History of the settlement. Click on Alcibiades to try our Greek Pot Sliding Block Puzzles. Act 3: Whose side are you on?